A good copy editor looks at word choice, sentence structure, stylization and story flow in addition to checking spelling and grammar. But what if you don’t have a copy editor on your marketing team? Or if the one you do have can’t get to your piece of content? If you’re not exactly an editorial expert but you are charged with making sure copy is fit to publish, then this article is for you. We’re offering tips and tools for those times when a copy editor isn’t available. What is the difference between active and passive voices? In the active voice, the subject effects a change on an object or person. The article was written by me. The best trick to recognize the passive voice? 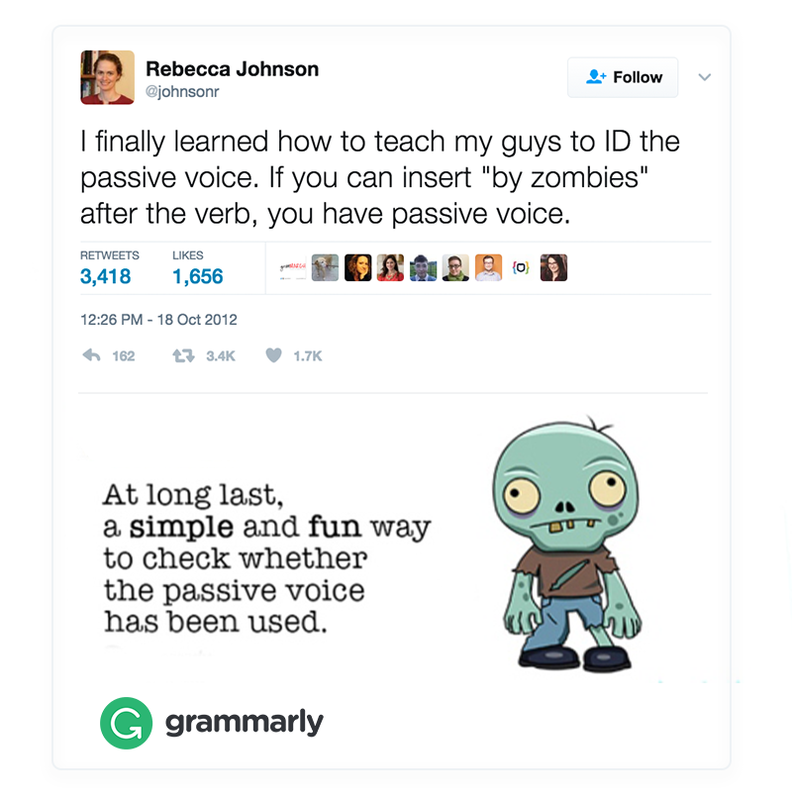 If you can add “by zombies” after your verb, you are likely using the passive voice. The article was written <by zombies>. Why does using the passive voice matter? The passive tense is more difficult to read, makes you sound unsure, and dilutes your point. The active tense is strong and easy to read, which is ideal for the short attention span of internet readers. Sounds weird, right? However, it is one of the most effective ways to edit, particularly if you are editing something you wrote or have read before. Our brains are trained to scan. This is why digital content often includes descriptive headlines and bullet points. It is nearly impossible to turn that off when you edit. Even if you slow down, your brain sees what it expects to see — which is a perfectly worded, impeccably spelled sentence. Start with the last sentence and work your way back up the post. This will keep your brain from filling in what it expects to see and help you recognize writing errors. 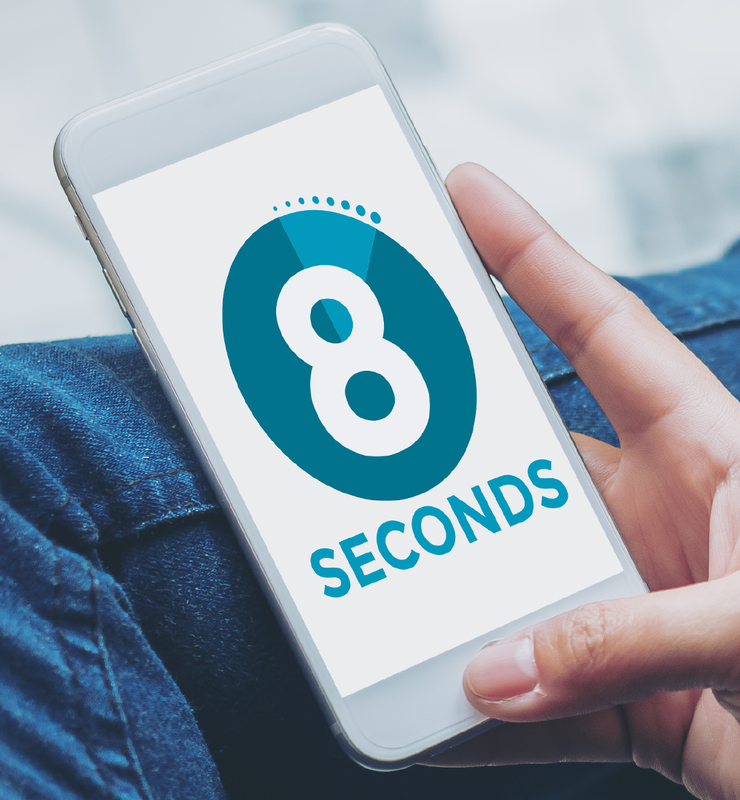 The attention span of an online reader is short; some counts have it at just eight seconds. Whether you are editing sales copy or a blog post, make sure all writing is concise and free of unnecessary words. Why does precision matter in word choice? Concise, direct writing keeps readers on page and engaged. This is ideal for digital content, which is often read on a mobile device. Remove fluff and reword sentences to use as few words as possible. The resulting content will be simple, strong and easy for readers to digest. Should you use e-commerce, ecommerce, or Ecommerce? IoT or IOT? A quick Google search will provide you with dozens of arguments for both stylizations. As an editor, I have opinions about which choices are correct. But, honestly, it doesn’t matter which one you choose. Just be consistent. Add it to your style guide (yes, you need a style guide), and use the same one every time. Why? Every piece of content your brand produces says something about your brand. Part of ensuring a consistent brand voice is consistent stylization. With hundreds of tools on the market, it can be overwhelming to figure out which ones are going to help you work more effectively and which ones are just shiny, distracting objects. Nobody has time to try every new tool. Over the past eight years, I have edited thousands of blog posts, emails, whitepapers and ebooks. These are the tools I use to copy edit quickly and effectively. And, most have both free and paid versions so you can try before you buy. Bonus. Grammarly is a spell-checker (and grammar-checker) on steroids. “But, I already have a spell-checker!”, you say. I hear you. Grammarly is much more than your average spell-checker. It highlights the passive voice, incorrect verb conjugations, duplicate words, homographs, and much more. The paid version provides all sorts of tracking and data analysis, but the free version is powerful enough for most users. There is also a plugin for Chrome, so you can check everything from email to Facebook posts. The only drawback is it does not work with Google Docs. Fingers crossed that feature is in the works. Important to note: Grammarly isn’t a replacement for a copy editor. But it can serve as an additional set of eyes. I often recommend the Hemingway App to writers who struggle with wordiness or the passive voice. It highlights difficult-to-read sentences, passive voice, adverbs, qualifiers, and overly complex wording. Good content is bold and concise. The Hemingway App is a great tool in the fight against wordiness. Your online content must be unique to do well in search, and that’s where Copyscape comes in. This tool compares content to all published content on the internet and gives you links to articles or sites with similar wording. Click “compare text” to see exactly what words are a match for already published content. Run every piece of content through Copyscape before you publish to ensure it is unique. Unique content ranks better, and making sure content is unique also protects your brand from liabilities. Well-written, error-free content is still not great content. Great content needs an audience, and SEO is one method of getting eyes on your content. Most editors don’t specialize in SEO, which is where Yoast comes in. Yoast is a WordPress plugin that makes optimizing your content simple. A stop light-style checklist helps you check for SEO best practices including SEO title, meta description, alt tags, and much more. Below is a screenshot from an article I recently published. Take note of the colored bullet points and the suggested fixes. About 80 billion posts are published each month on WordPress alone. The bar for good content has been raised, and copy editors are the first line of defense against mediocre content. Stop publishing OK content and start publishing great content that people want to read.